Why doesn’t my dental insurance pay for this? This is a frequently asked question when it comes to dental coverage. It is common for patients to be unsure of what their coverage actually covers and why they have certain limitations. Dental insurance can be very confusing, so, here are a few basics to help you better understand dental insurance. There are different dental insurance plans that you might have. One plan is the UCR plan. UCR stands for, usual, customary, and reasonable. This means a couple of different things for your coverage. Under a UCR plan, patients get to pick which dentist they see and the plan pays for an established percentage of the dentist’s fee or they pay the plan sponsor’s “customary” or “reasonable” fee limit. These plans do not necessarily reflect the prices of dental procedures. Often times the limits in place do not take into account the price of dentistry in that area or region. Dental insurance companies do not have any regulations on reimbursement levels, which means that there is a lot of room for fluctuations. Whoever provides your plan for you, whether it is through your job or a private company, they are the ones who set the annual maximums. Annual maximums are the final set of reimbursement that is part of your plan. That number is how much your insurance will cover. Another thing to keep in mind when it comes to dental insurance is that some insurance plans will request that you pick a dentist from their list of preferred providers. This usually means that if your previous or current dentist is not on the list, then you will have to switch to a different dentist. Dental insurance also has something called, “least expensive alternative treatment.” This phrase means that, your plan may not offer any coverage for expensive treatments or procedures, but they will cover the least expensive alternative. It may not be the best option for your oral health, but the cheaper option is what they will cover. It is best to discuss with your dentist the best option for you. Some dental insurance plans may not cover any preexisting conditions that you had previous to joining that plan. This can be difficult because they may still require treatment. Try to find a plan that allows you to still receive treatment for a preexisting condition or talk to your dentist about what other options you have. Your dentist might recommend a preventative treatment, like sealants, and your insurance may not cover it. While these sorts of procedures can save you money in the long run, your insurance may not cover them because they are not necessary. 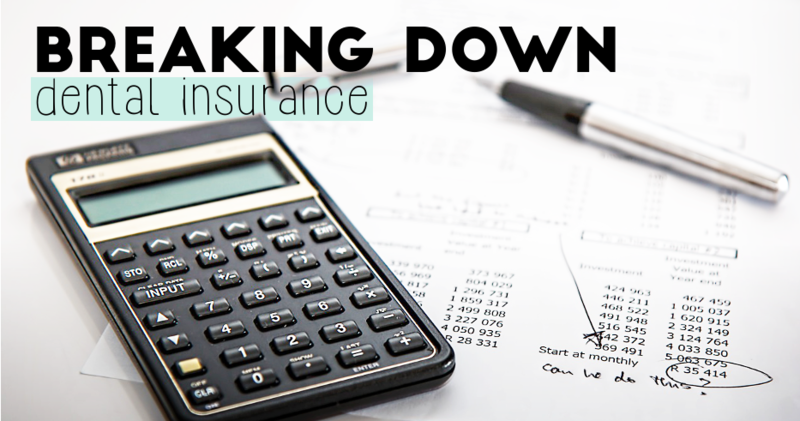 The same may go for certain procedures that your insurance does not deem as necessary.